Set I is another economical trophy set for any event. All trophies are single column – 18 inch 1st Place / 17 inch 2nd Place / 16 inch 3rd Place / 15 inch 4th Place. 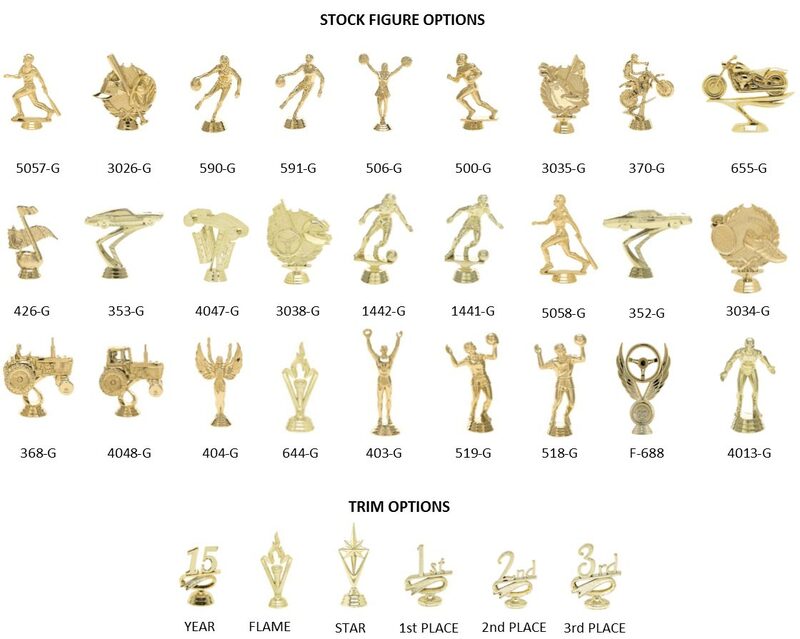 Trophy heights are based on 5 inch figure and the height will vary depending on the figure selected. Engraving is free!! Click the button below to add the SET I to your wish list.